This is such an easy and delicious meal to throw together. 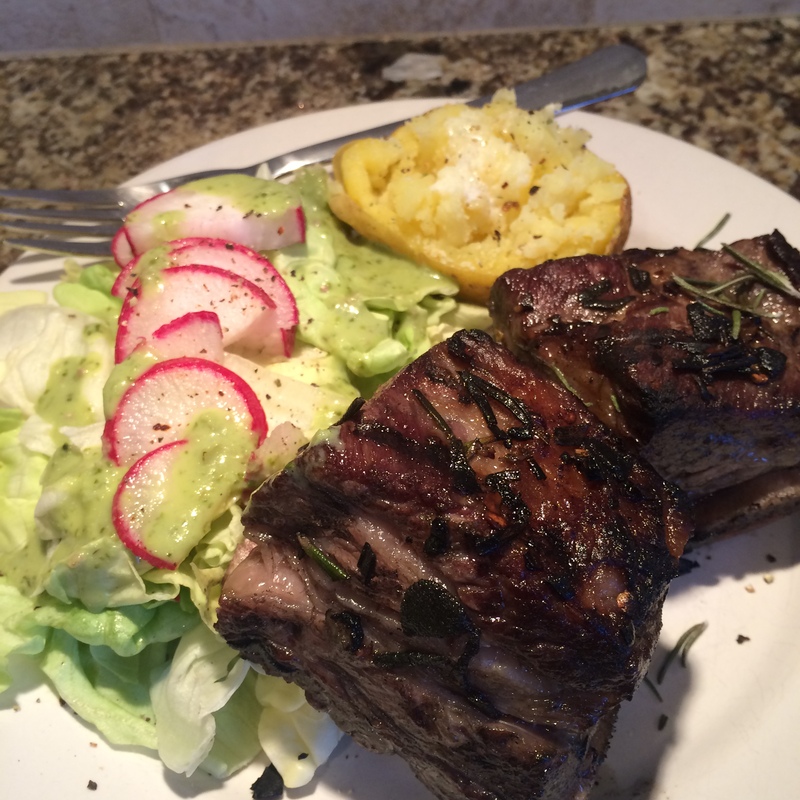 Although you can grill these ribs after an hour in the marinade, I really love to leave them for a day or two. Something about the fresh herbs and olive oil really soaks into the meat leaving it full of flavor, super tender, and juice. Sprinkle the ribs with salt and pepper and place in a large dish or zip lock bag. Add the rest of the ingredients and cover ( or zip). Place in the fridge for one hour or overnight. Preheat your BBQ, remove the ribs for the marinade and grill over for about 7 minutes on each side. Remember to keep an eye on these guys. The oil will cause flare ups but as long as the meat doesn’t catch on fire you will be fine.